Notes: Vol 4, No 1. 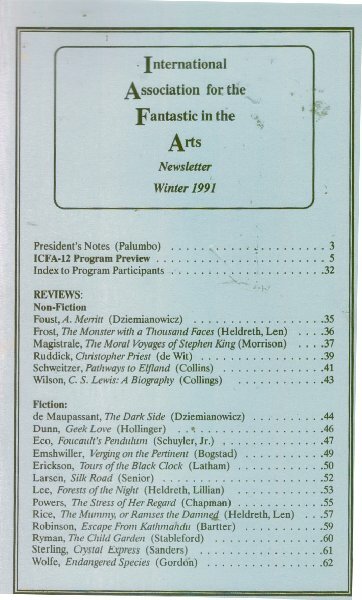 "Stefan Dziemianowicz" credited as "Stefan Dziemanowicz" for review on page 35, but is correctly named on page 44 and on front cover for both reviews. 47 • Review: Foucault's Pendulum by Umberto Eco • review by William M. Schuyler, Jr.